This classic square spa is designed to comfortably accommodate 2-3 adults and is ideal for patios or small spaces. The convertible spa has a low-profile, comes with built in handles and a textured footwell, allowing for easy entry and movement. In addition to side by seating, its lounge seating design offers the added comfort of a full-body hydromassage. 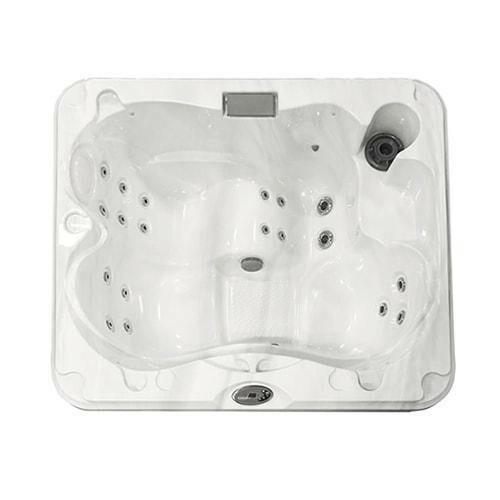 The spa doesn’t require electrical hard-wiring so set up is simple, requiring only a 120V outlet for plug-in. The J-215™ model is low maintenance and energy efficient, making it easy on your wallet, so contact us today to get a great quote on this classic hot tub.